When it comes the movie reviews in Utah, I don't know of a person or entity that has as much clout as the KSL Movie Show. Doug Wright has been the trusted voice in Utah talk radio for a long long time. I had met him a couple of times in years past at other events and I was delighted to see him and his lovely wife at the advanced screening of "The Big Year". I spoke with him before and after the movie and I was very interested in his impressions of the movie as a non-birder. Well, you can listen to his brief and enlightening review for yourself. Talking about the amazing birds shown in the film, Doug states that he can understand why someone would get passionate and obsessive about birding. Steve Salles, the other movie reviewer heard in the audio clip, is to movies what Rick Wright is to birding...one of the more cerebral and more critical. 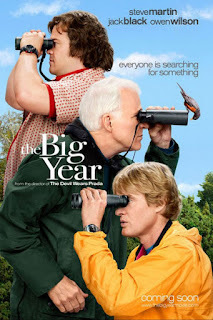 If you missed it, here is my review of "The Big Year" movie.